Exquisite, beautifully finished two-bedroom, two-bath home in one of the most sought-after buildings on the Gold Coast. Luxury finishes include hardwood floors, crown moldings and full- length windows. Custom-made, classic hardwood bookcase encases fireplace w/remote-controlled panel hiding TV. Dining space opens out to generous terrace with room for entertaining. Beautifully designed kitchen with high-end carpentry and granite countertops, opens to living area via custom-made sliding window. 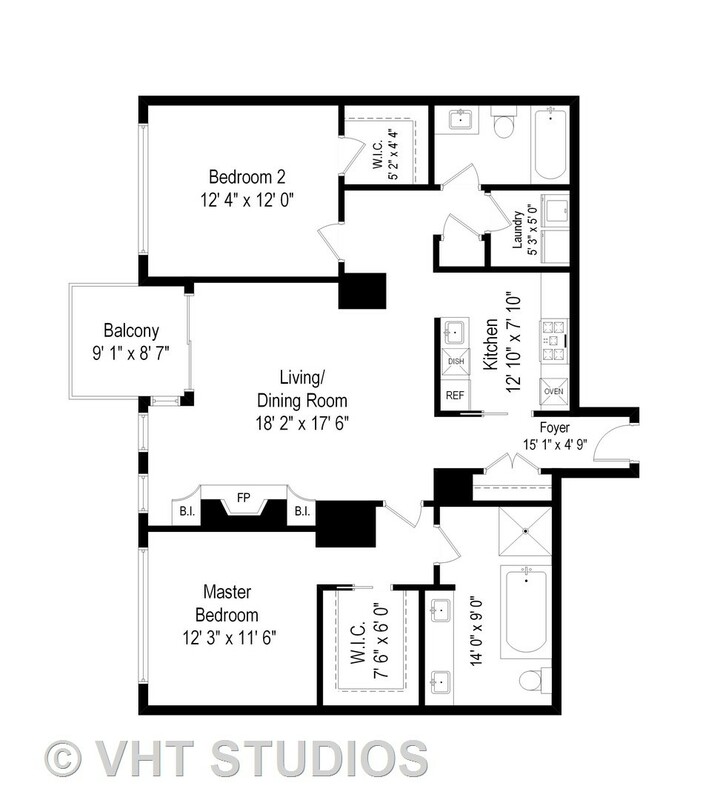 Split plan allows for many possible uses for second bedroom (guest room, office, etc), which includes its own luxury bath. Built-out closets and large laundry room round out this comfortable and elegant residence. 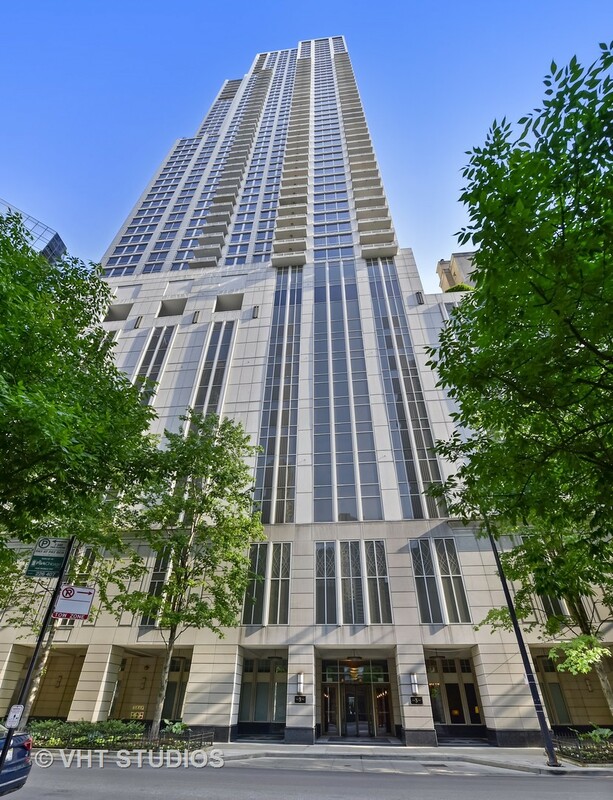 In addition to fantastic location steps from Michigan Ave and grocery shopping (Trader Joe's, Whole Foods...), 55 E Erie is a full-amenity building including huge indoor pool, health club, party room, and even an herb garden! Garage parking priced separately at $40,000. Property information last modified by seller on Monday, April 08, 2019, 09:39 AM CDT. Information Deemed Reliable But Not Guaranteed. Unauthorized duplication, use, or linkage is prohibited. The information on this web site is for personal, non-commercial use and may not be used for any purpose other than to identify prospective properties consumers may be interested in purchasing. Monthly Payment Calculator results are for illustrative purposes only, not a financing opportunity; calculations assume a 30-year fixed-rate mortgage and do not include closing and other costs. Property Tax on NEW properties is estimated at 1.5% of Listing Price for payment calculation purposes; actual value may be higher or lower.